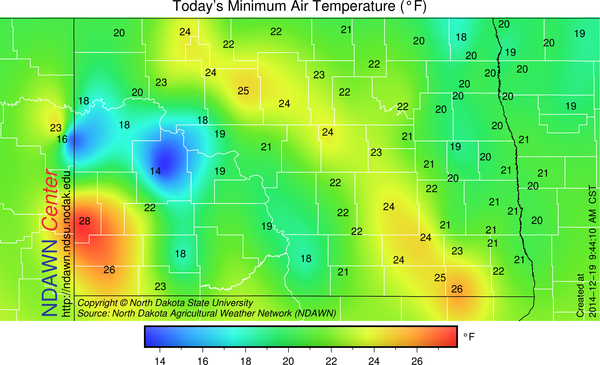 The cloud cover that moved into the region yesterday did as expected keep the overnight minimum temperatures much warmer than yesterday across the eastern one-half of North Dakota. The low cloudiness did have some flurries and pockets of very light snow associated with it and a few locations did record a dusting of snow. Other than that scenario being always possible this time of year, the main threat of snow still appears to be early next week. The weekend looks mostly cloudy with temperatures near freezing with some lower 40s in the western part of North Dakota. 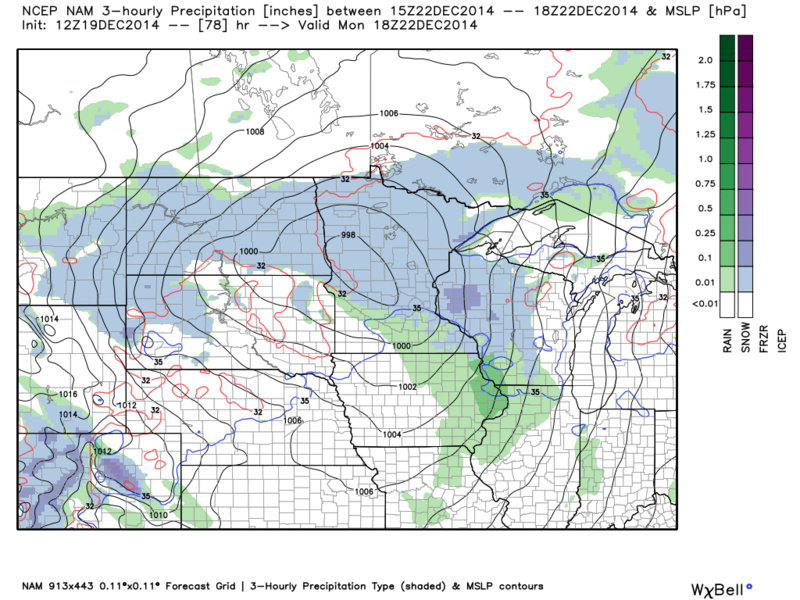 On Monday an area of low pressure will move into the upper Midwest and with it a mix of rain and snow. The graphic below is a rough estimation to the precipitation potential on Monday. The storm will not have a lot of moisture to work with, but some accumulating snow, that in many locations may start or mix with rain, look reasonable. This moisture will linger into Tuesday and as the temperature cool behind this system enhance any travel slowdowns the rain and snow will bring. Also on the back side of this low, Tuesday in particular, will come a stiff wind that also may cause some travel problems as well as colder air freezes any moisture on the roads and/or creates perhaps some blowing snow. That strong storm over the Great Lakes on Christmas Eve and Day still seems to be a high probability, but the moisture looks to be confined to locations east of our immediate area, meaning the storm will only reinforce colder air into the region. But because of cloud cover, the temperatures probably won’t be exceptionally cold, but instead, close to seasonal levels. 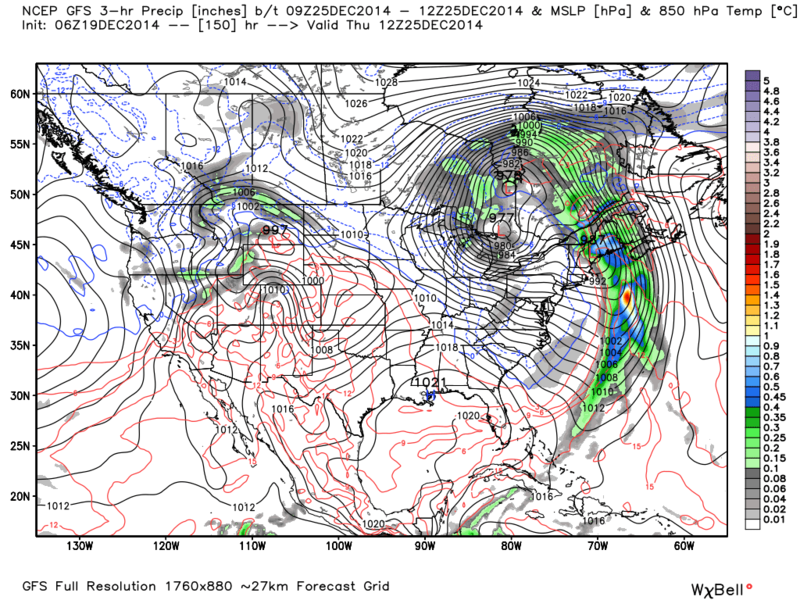 Christmas Day Projection from GFS guidance. A different storm may impact North Dakota and northern Minnesota after Christmas, but 10 days out any details would be lacking. 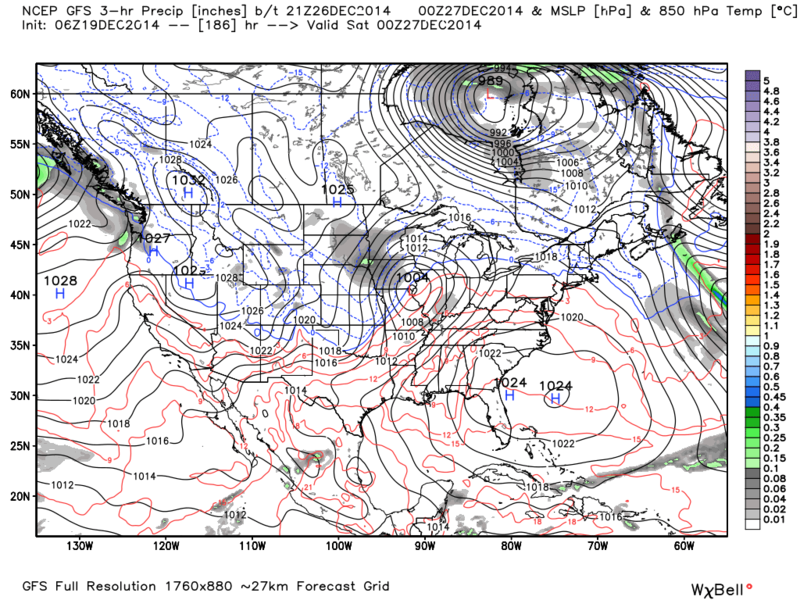 But it is probably after that period, so the last week of December that the worst of this next cold snap will be felt. But with as with previous blogs, I feel it will be too cloudy for the extreme cold, but a morning or two with -10s in some locations may be the end game. Busy travel season, a few disturbances, some wind and temperature changes are expected. Be safe and I will have another update on Monday!